Are you a yarn collector? 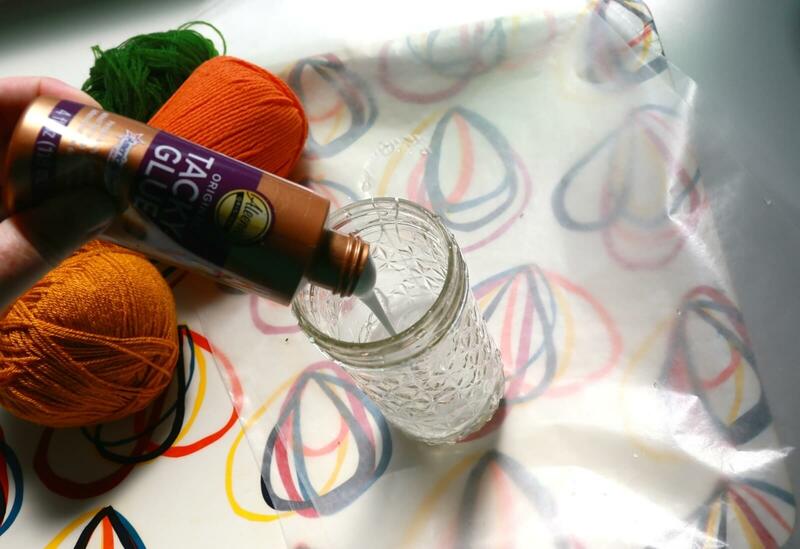 Do you have a secret stash of autumnal yarn and looking for any excuse to use it? 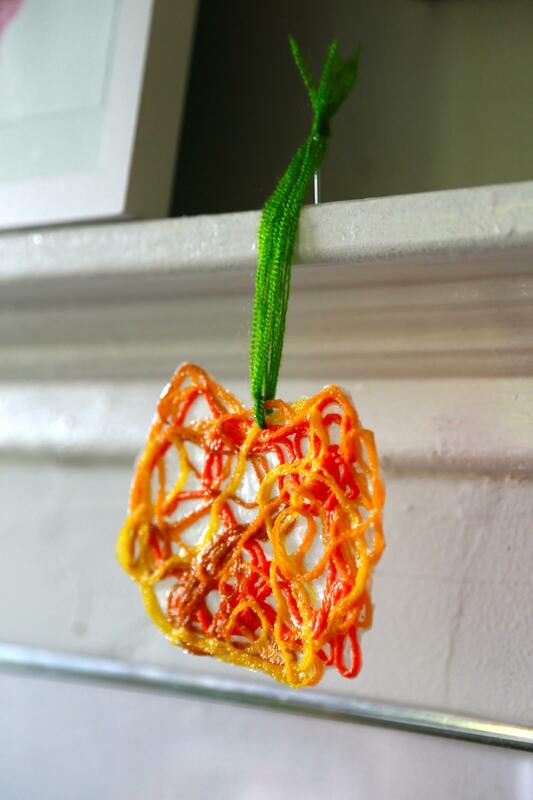 Have no fear - glue pumpkins are here! Pour the entire 4oz bottle of Tacky Glue into the jar of water. The whole bottle! let it sit for two minutes. 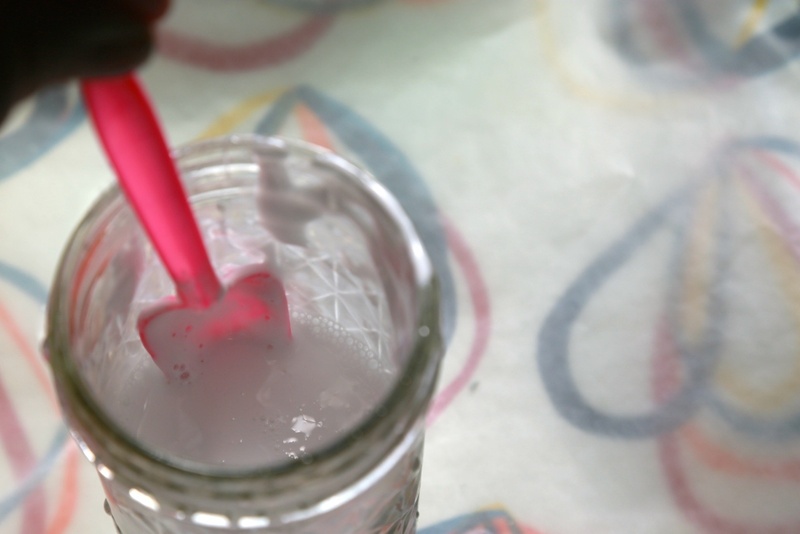 After letting the glue loosen up in the water for a couple of minutes, use the spoon to blend them together. The final result will be the consistency of very heavy whipping cream. 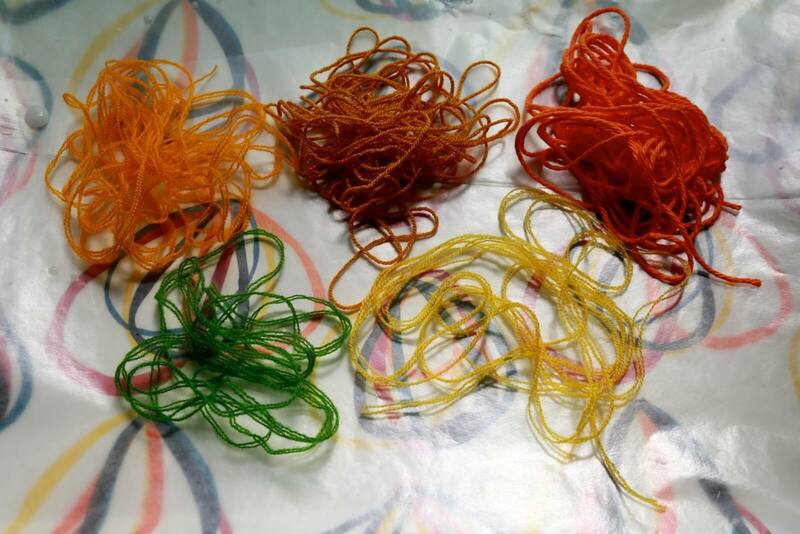 Cut yarn into one yard lengths. Each pumpkin will need at least nine yards, but you can add more if you like. 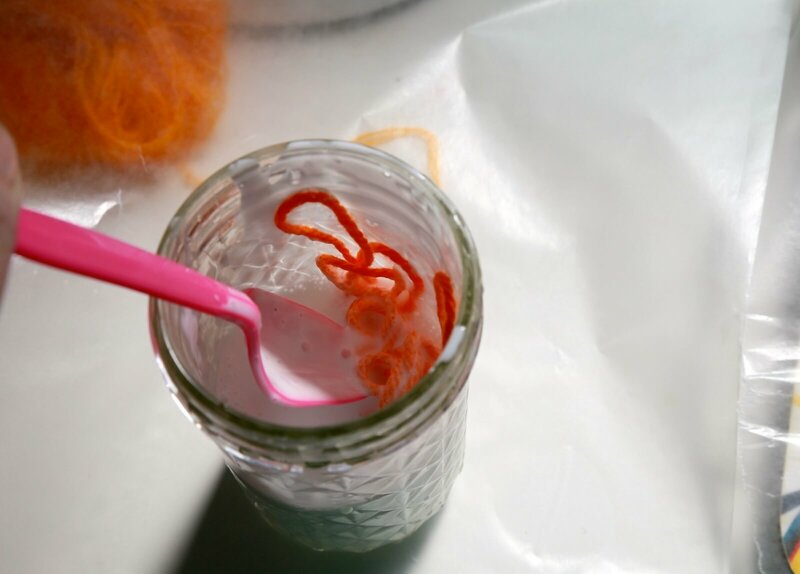 Dip the yarn into glue mixture use the spoon to fish it out. 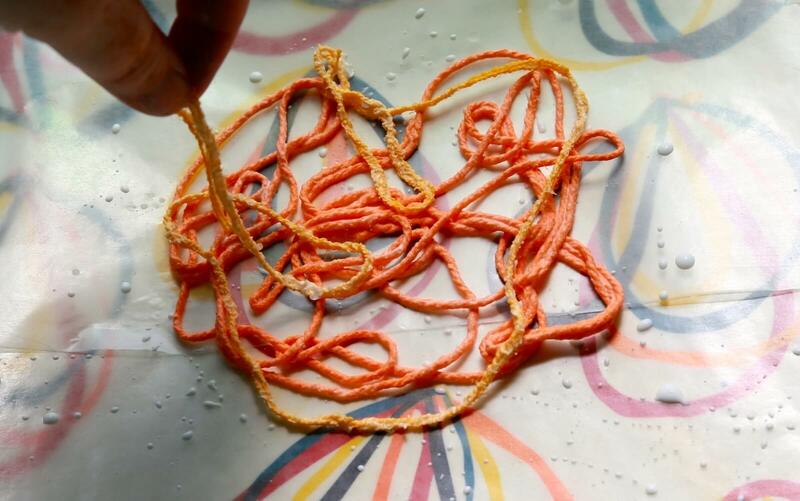 Use your fingers to arrange the yarn into a loose pile on the wax paper. 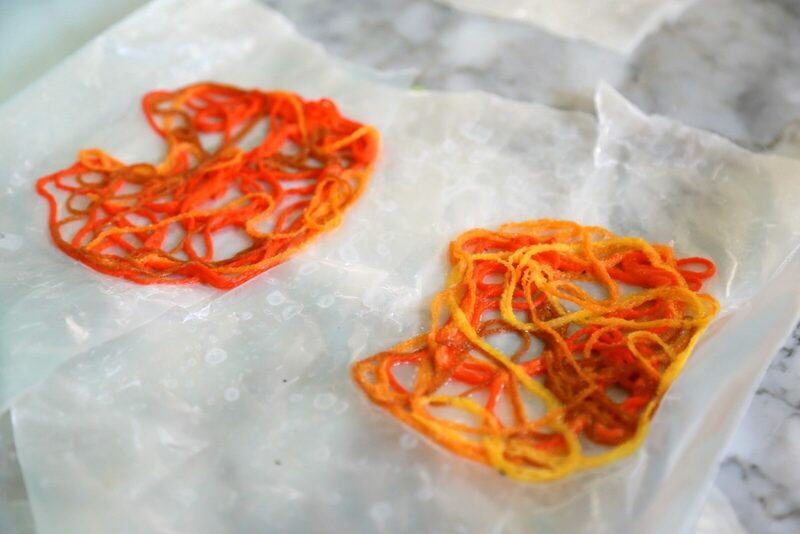 Indent the top slightly to mimic the shape of a pumpkin. 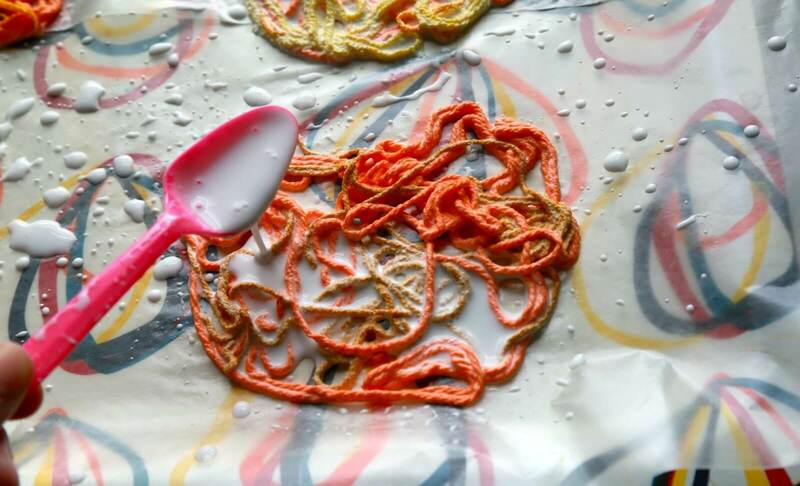 Take a spoonful of the glue mixture and pour it evenly over the surface. Let the pumpkins dry overnight. In humid areas, add a fan to help the pumpkins along. You will know they are dry when the glue is clear. 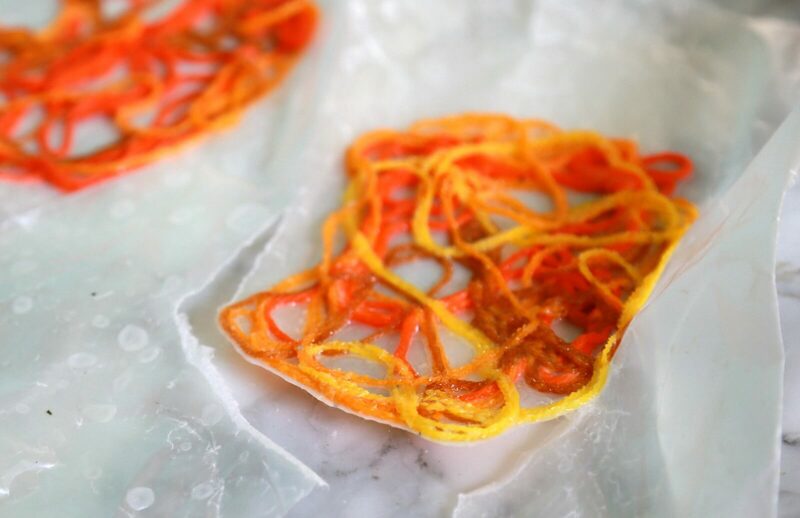 Tear away the excess wax paper from behind the yarn. 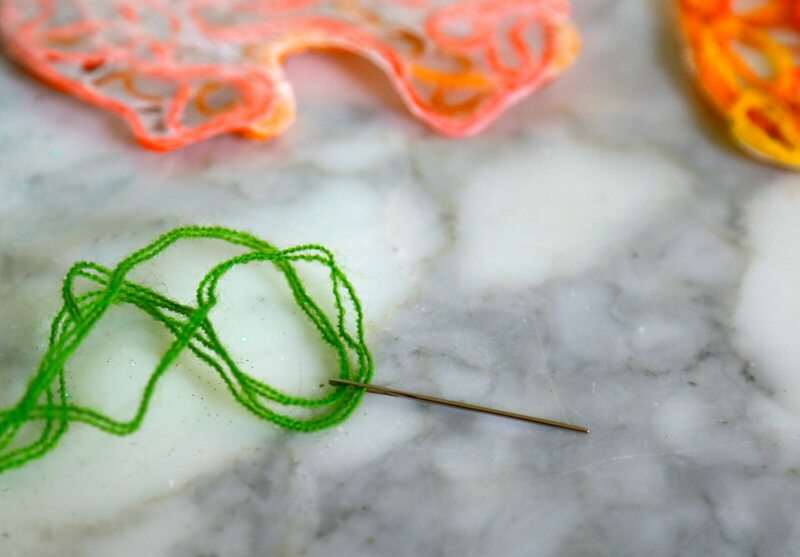 Thread one yard of green yarn through the eye of a needle and insert through the top of the pumpkin. 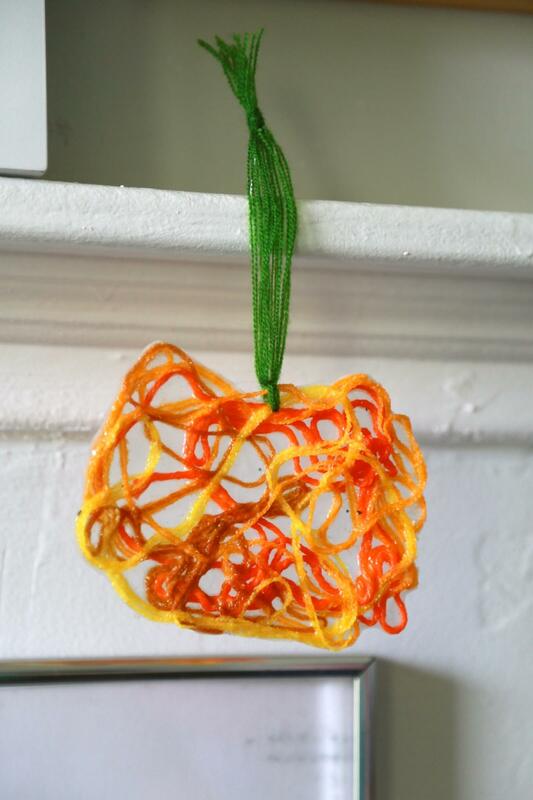 Tie off the green stem and hang your pumpkin with pride! 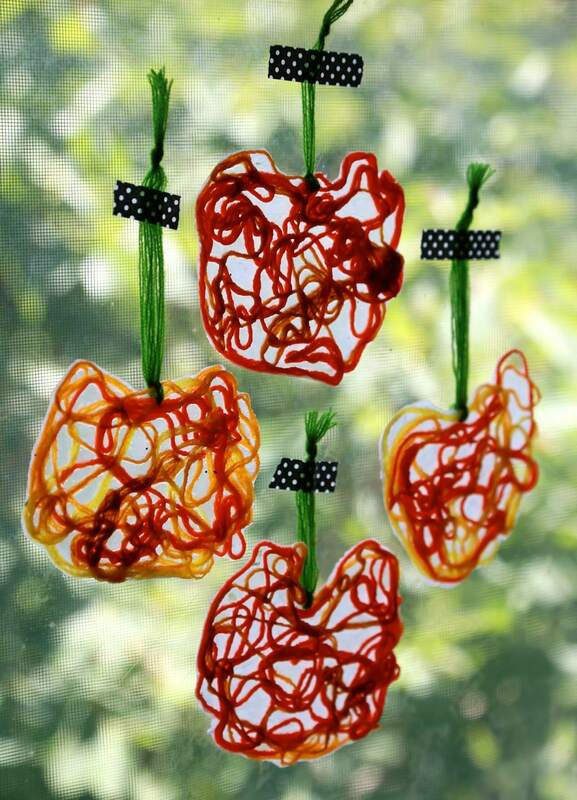 Because they are transparent, the pumpkins look especially neat when displayed on a window.